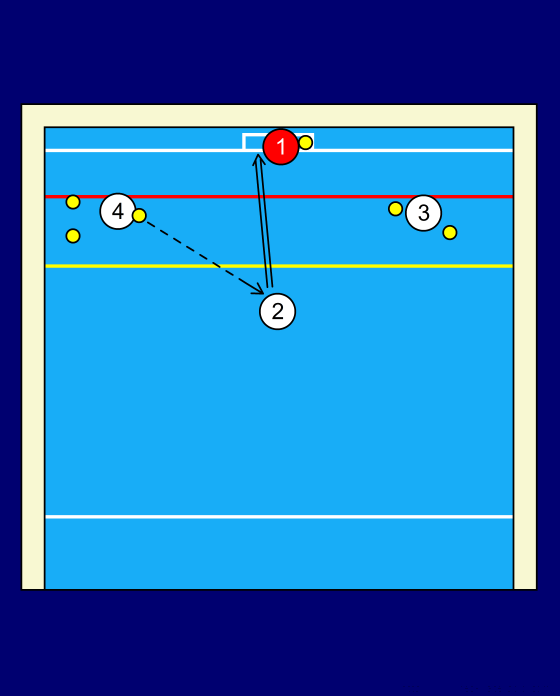 This exercise is suited for semi-advanced or advanced players. The goal in this exercise is to learn to get quickly control over the ball. Once you've got control you try to score. After a little while you should be able to do this exercise at a very high pace and still shoot all balls in the goal. The second point in this exercise is the keep you body as high out of the water as possible. If the pace goes up this should and is much harder to keep up. Of course many variations can be made with this exercise. 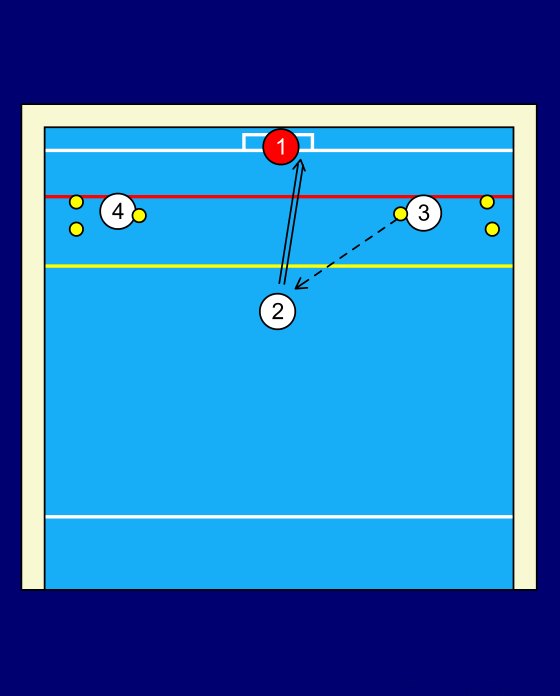 For example the shooter can move between the goal poles. Or he could move between seven and four meter line, between a pair of passes.